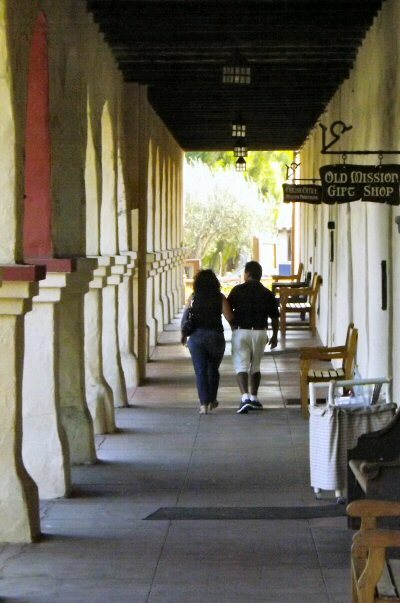 Mission Santa Ines Photos - a gallery of photos to augment the main Santa Ines Mission page. 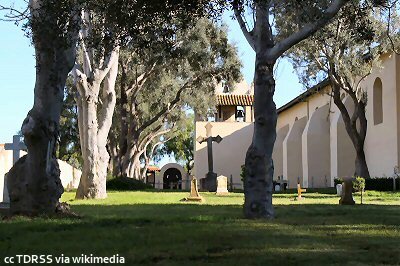 This collection of Santa Ines Mission photos is a companion page to the main Santa Ines Mission page. 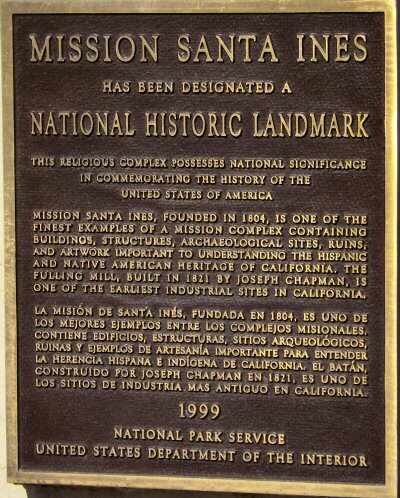 On that page you will find history, location information and other items about the mission. This page is mainly for your viewing pleasure. If you are a California fourth-grader doing a mission project, please contact me if you wish to use these or other photos of missions which I have. I'll be glad to assist you any way I can. 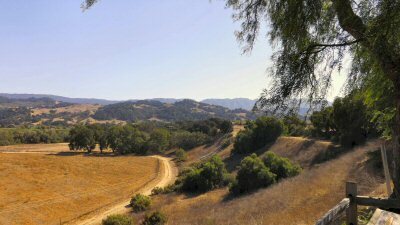 A view of the Santa Ynez river valley . 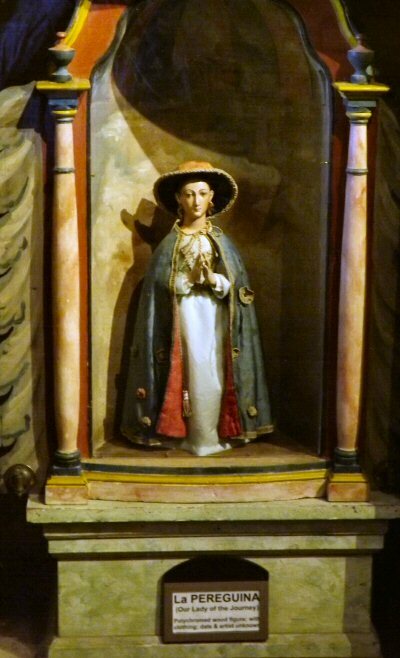 Padre Junipero Serra, founder of the California mission system. 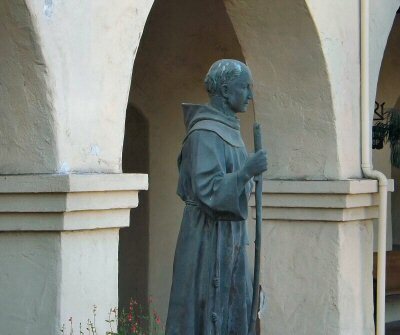 One of the many Hannon Foundation statues of Blessed Junipero Serra which have been placed throughout California. You can read more about them here. 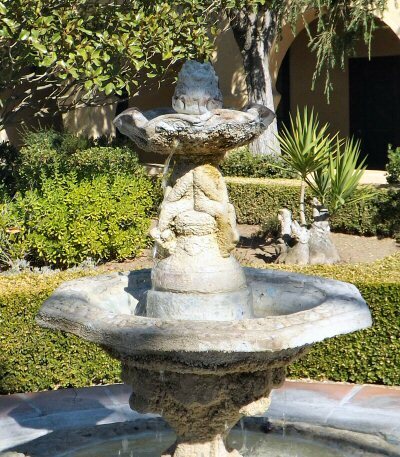 The garden fountain, a cool place to be on a hot, summer day. The main altar and reredos. The brightly lit statue at the top center is of Saint Agnes, the patroness of the mission. A lovely statue of Our Lady of the Journey found in the museum section. The statue is about 14" high. 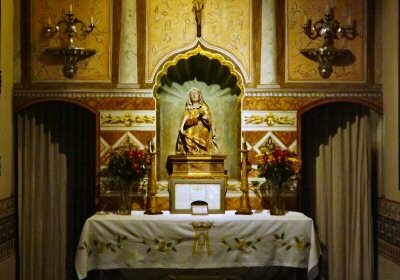 A side altar dedicated to Our Lady of Sorrows. 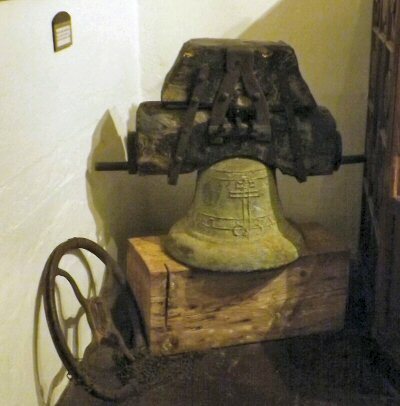 This is located just between the museum and the side entrance to the church. 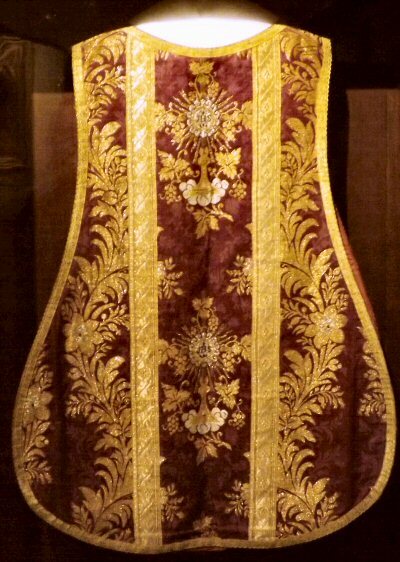 This is known as a "chasuble" and the style is commonly called "fiddleback" for its shape. 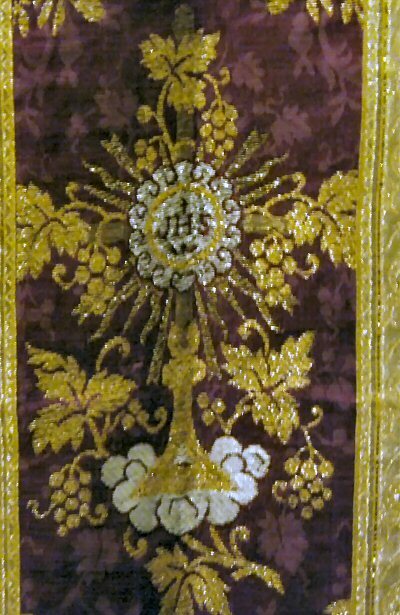 A detail of the vestment above showing the intricate needlework which went into its fabrication. Saint Agnes is the patroness of the mission, and this statue is found in the Gift Shop. 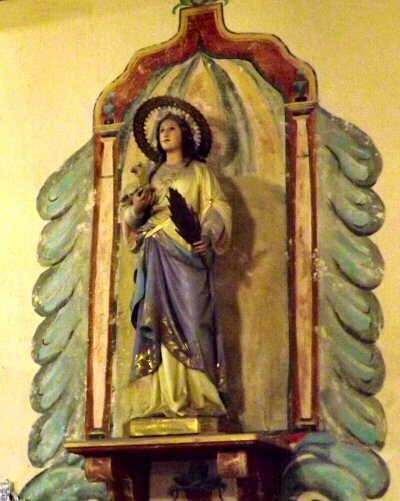 She is holding a lamb in her right arm (Agnes means "lamb") and a palm in her left hand which is a symbol of martyrdom. just next to the church entrance which lead into the museum area. at the eastern side of the mission. 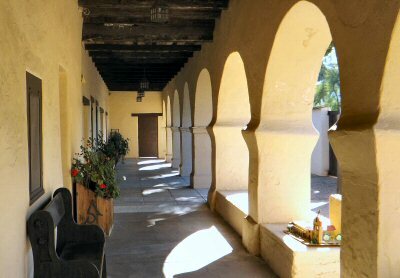 This is one of the restored areas of the mission. Located in front of the church near the parking area. 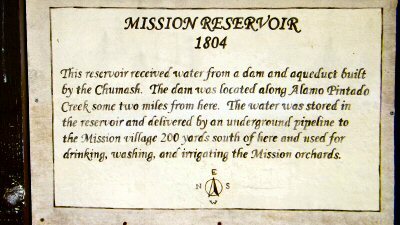 Not all the missions in California have been designated as such. 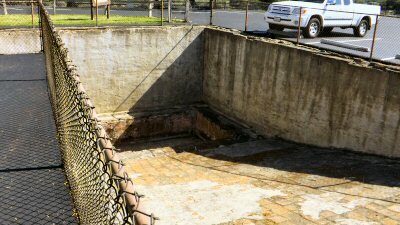 A recently excavated reservoir from the mission era. Some of the missions, such as here, had very sophisticated water systems. Water, of course, was a primary and crucial element when the Franciscan friars were deciding where to site their missions. 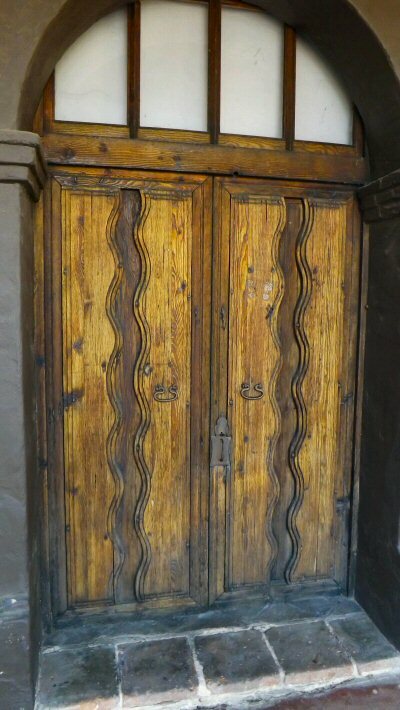 On several occasions they had to move when a source dried up. An old "Roman Ritual" in the museum. 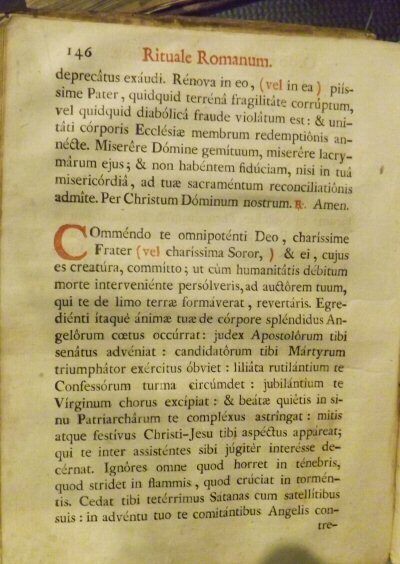 This was a book of prayers for priests to use on various occasions. The particular page to which this old book is open is for the commendation of the soul of a person who is dying. "I commend thee, dear brother [sister], to Almighty God and commit thee to His mercy, whose creature thou art; that, having paid the common debt by surrendering thy soul, thou mayest return to thy Maker, who formed thee out of the earth. May, therefore, the noble company of Angels meet thy soul at its departure; may the court of the Apostles receive thee; may the triumphant army of glorious martyrs; meet thee; may the crowd of joyful confessors encompass thee; may the choir of blessed virgins go before thee; and may a happy rest be thy portion in the company of the patriarchs." Congratulations! You made it all the way to the bottom of this page. 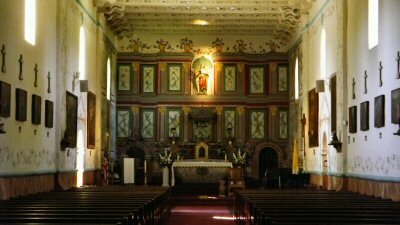 I trust you enjoyed your tour of Mission Santa Ines photos. It's not quite the same, or as good as being there in person, but it is a start. Be sure to check out the Solvang page, which is the town which grew up around the mission. It's a charming place and a great visit.